I'd like to have a forest with trees that are "normal" except that as they grow a big, hollow bulge forms in their trunks about halfway up, giving them a shape something like this, with a relatively straight trunk above and below the bulge. The bulge would be almost entirely enclosed, though there could be a few small holes or one larger one. The trees would live and function normally. For size, I'd like it to be possible for bulges to have a horizontal diameter of at least 30 feet on the inside. They would be taller than they are wide, as shown in the example images. On the outside, I'm imagining the bulge to be something like 3x the diameter of the trunk above and below the bulge. Functionally I think this could work, as I believe the inner wood (heartwood) of a large tree is usually dead anyway, sometimes even rotting away, and it is only the outermost layers that are still alive. I'm mostly asking what would cause a tree to grow such a bulge. E.g. maybe there's a tendency for a gas or liquid (possibly some kind of waste?) 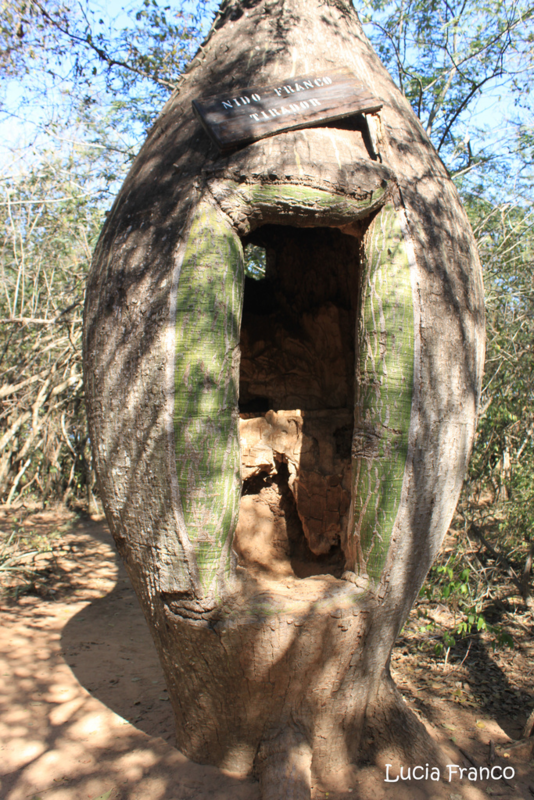 to build up inside as the tree grows that eventually creates a hole to the outside and drains? But why? If you have a tree that lives in a place where rain is very rare, but torrential when it happens, this kind of adaptation could be about water storage. Many cacti actually have similar shapes to this for this reason; so, it's not a huge stretch. The problem for these trees is that animals know there is water in those bulges; so, they will try to burrow in for a drink which would make the holes. If the holes are small and high enough, then then tree could survive with most of the water staying in the hole, but many such trees will be dead empty husks broken open by larger animals over time. That said, the "half-way" up aspect would be a good way to keep water storage away from most animals in lue of thorns like cacti need as a deterrent. This way the trees have a "fighting chance" while remaining more or less normal. In hardwoods, burls are knobby warty overgrowths caused by response to some sort of damage - often fungal infection. The woody growth walls off the pathogen and protects the rest of the tree. Burls are a normal thing for redwoods. Most big ones will have some burls. 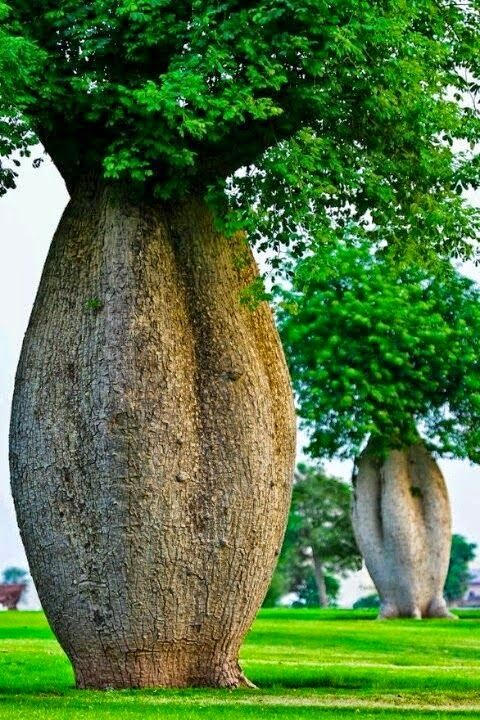 They are also knobby growths but serve a different purpose for these trees. Burl is the knobby growth most commonly seen at base of some coast redwoods, though it can also be found high in the canopy as well. Burl is a woody material full of unsprouted bud tissue. It serves as a storage compartment for the genetic code of the parent tree. 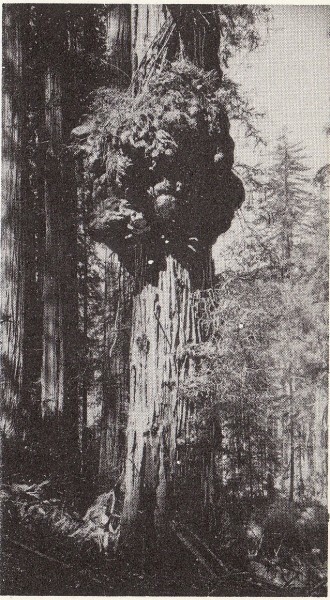 If the redwood falls or is damaged, the burl may sprout another redwood tree known as a clone. The burl is a fallback defense in case the tree falls down. It can sprout back from one or more of its burls. So too your trees. Once they get to a certain height and are at risk of being toppled, each develops a big burl. If the tree falls the burl kicks in growing. A burl is bigger than any seed around and can rapidly reclaim the hard-earned space in the forest before that space is filled in by upstart seedlings. Galls are similar to burls but smaller, and caused by insect pathogens. The insects hijack the tree growth mechanism to make themselves an armored chamber. 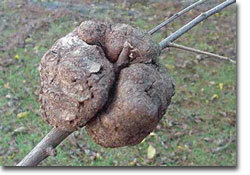 Growth deformities known as galls commonly occur on oak trees in Texas. Most oak trees are attacked by a group of small insects called gall makers. These insects can cause deformities, called galls, in the leaves, twigs, bark, buds, flowers, nuts, or roots of the tree. Because of the unusual size and shape of the horned oak gall and the gouty oak gall, they attract the attention of landowners and homeowners who are concerned about what causes the galls and what harm or damage they will do to oak trees. Your trees have giant galls. Once they get to a certain size, something moves in and hijacks the growth of the tree, forcing it to create a gall-like chamber. The growing thing feeds off of the tree sap. Maybe these things stay in their tree, releasing spores or seeds or motile forms which go off to find new trees. Maybe these things break out once they reach maturity, leaving a gall with a big hole and a space inside. Some real galls have holes where wasps break in to lay an egg on the caterpillar inside. Your giant galls might have holes for the same reason - something wants to get at the creature living inside. The hollow bulge is home to a symbiotic organism that protects the tree from herbivores in exchange for shelter (and possibly food as well). One real-world example of this sort of relationship exists between the acacia ant and the bullhorn acacia. So you imagine the tree trunk to be about 10 feet wide above and below the bulge and the bulge about 30 feet in diameter. It seem to me that most trees are very heavy above any points in their heights where their trunks are 10 feet in diameter. That is important because the upper trunks in your trees would not be supported by wood directly underneath but instead would be supported from the wall of the bulge on the side. So the possibility of that bulge not breaking would depend on the strength of the living hollow wood of the bulge to support a great weight in a sideways direction. On the other hand I have seen a little grove of very tall and incredibly slender black walnut trees, possibly the tallest in the world, with branches sticking out unsupported at various angles for tens of feet, and one tree in the grove has a sort of a S shape with many tens of feet of height supported only from the side. So the possibility of those hollow bulges depends on the strength of the living wood of those tress. They were bred that way. Variations and combinations of these factors, maybe it was unintelligent beings who started it, then intelligent beings furthered it and became extinct, now indigenous intelligent beings have perfected it. Not the answer you're looking for? 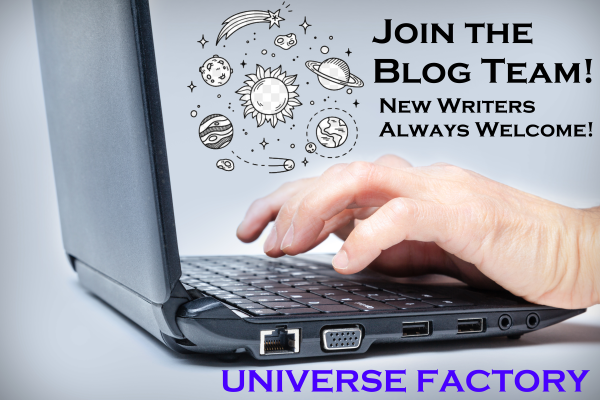 Browse other questions tagged science-based biology flora or ask your own question. How to transmit energy through rock and store it in crystals?